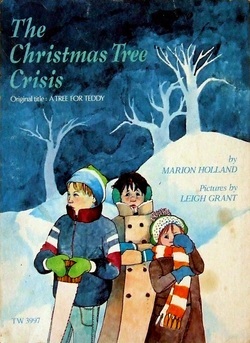 Leigh Grant illustrated the 1977 Scholastic Book edition, originally called "A Tree for Teddy" by Marion, published in 1957. "No trees--and it's Christmas Eve! "Teddy has to find a tree somewhere . . . somehow."